Having the best music software for rappers is a must to produce an excellent song. For any type of music genre, particularly rap and hip-hop, the lyrics beat and rhythm plays a pivotal role. No audience-grabbing opportunity or top being at the music chart without the best music making software ever. Now, the lists of music software mentioned in this review are suitable for beginners, intermediate and expert beat makers. But note that the music production software listed in this guide, however, covers only those that are Windows 10 compatible. 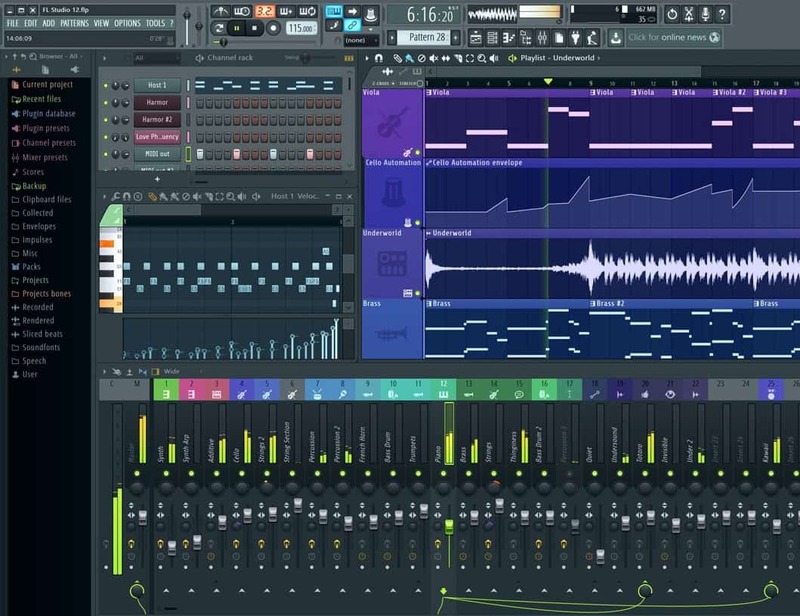 When looking for an excellent digital audio workstation (DAW), FL Studio 12 presents the best out there in the market. Particular for those trying to get a grip or hone their beat making skill, FL Studio sure is the way to go. FL Studio is a popular brand with over a decade electronic dance music (EDM) making experience. 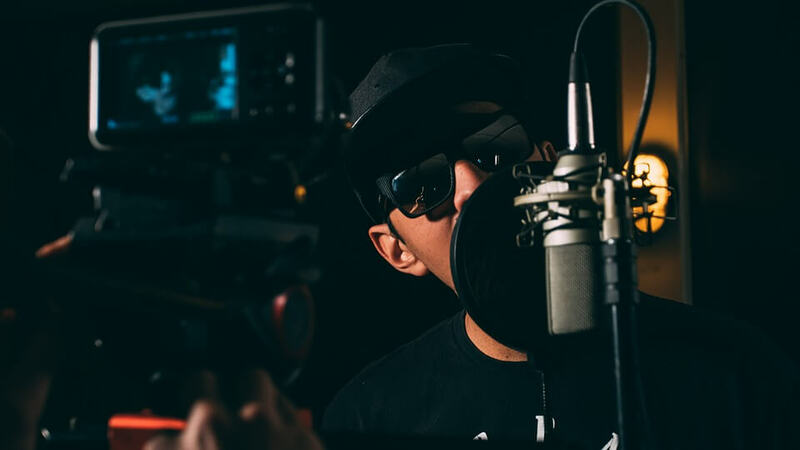 It’s most suitable for rap sessions due to excellent features with standard protocols for even beginners. With a little practice, reading through manuals and videos getting started mixing music beat shouldn’t take any longer. The most recent versions offer over 30 synth software from its robust loop library to make a professional track making possible. A beginner can start learning with the free version of the music software before upgrading to the full version. The FL Studio 12 slight limitation with editing features and little perks with effect plugins. 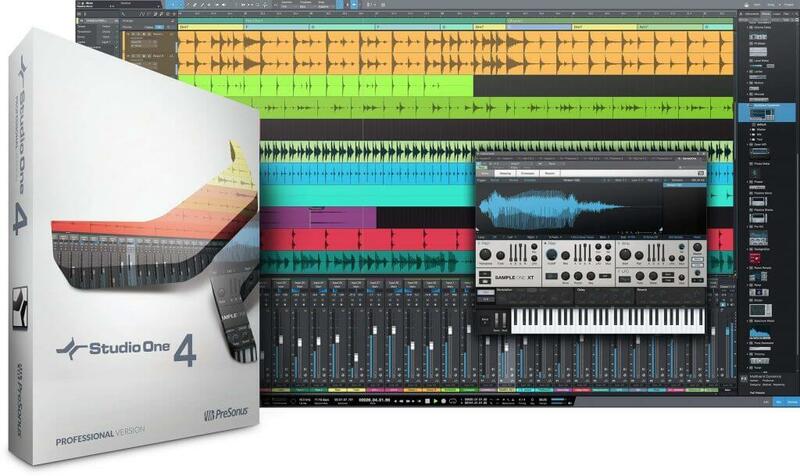 It, however, still qualifies as the overall best buy for the best music software for rappers. Available FL studio video tutorials make learning easier. Easy to navigate and user-friendly DAW for cut and paste (editing), time-stretch, pitch shifting, correction, etc. It includes Producer edition for recording vocals and instruments. Use the MIDI keyboard and microphone to record, edit and mix. Offers free lifetime updates, meaning no more purchase of upgrade license and additional value for money. One of the best and innovative DAW – customizable, multi-touch support, easy to resize, etc. Acid Pro 8 offers beat makers a professional platform for expressing their musical creativity. Magix Software GmbH brings over 20 years’ experience in music software production to play in the Acid Pro 8. The free trial version helps even beginners to try out in using one of the best music software for rappers. Acid Pro 8 is the most recent music software released by the company. It allows for easy multi-track recording, looping with exceptional MIDI features using the all-new Graphics User Interface. The Acid Pro 365 is for more experienced beat makers. With regular practice, an intermediate player should be good to go Pro! Excellent Version 8 easy to navigate GUI to an awesome music making experience. Processes at least 16 new instruments using the world-class audio-MIDI function. Customizable and responsive channels for the record, play, edit and mix. Introduction of additional 13 music effect plugins. Introduction of VST3 support to boost beat making. Up to 9 GB available loop library. Cubase is a respectable brand popular amongst renowned music makers and arguably one of the best music software for rappers. Cubase offers a digital audio workstation with versatility, great sound quality, a range of top-notch tools for music production. Steinberg includes its signature key in the Cubase for a touch of professional sound mixing. The Cubase signature key comes with advanced drum editor and score functions for manual editing of MIDI tracks. Cubase is more suitable for advanced players and will take some handling to master. A robust sound library (about the biggest). Advanced plugins and reverb effects. Easy to edit (drag and drop), correct. Ableton Live has been around for close to two decades providing a great platform for music producers and rappers to explore their creativity. 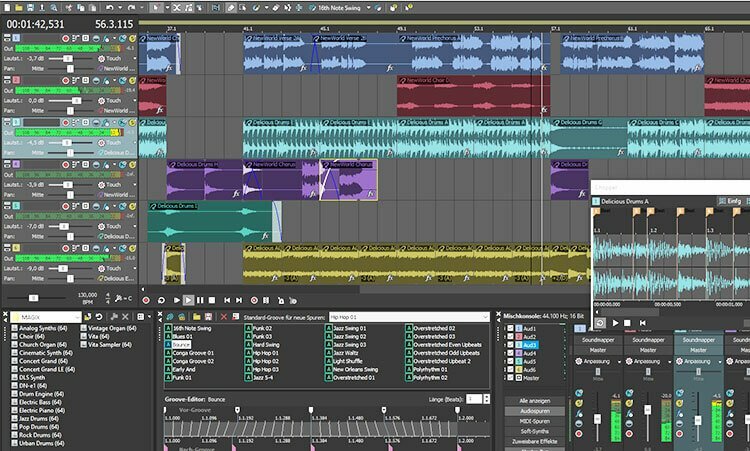 Several unique features make the Ableton Live one of the best music software for rappers. And intermediate and professional rap music producers and beat makers should find the Ableton Live seamless to work with. 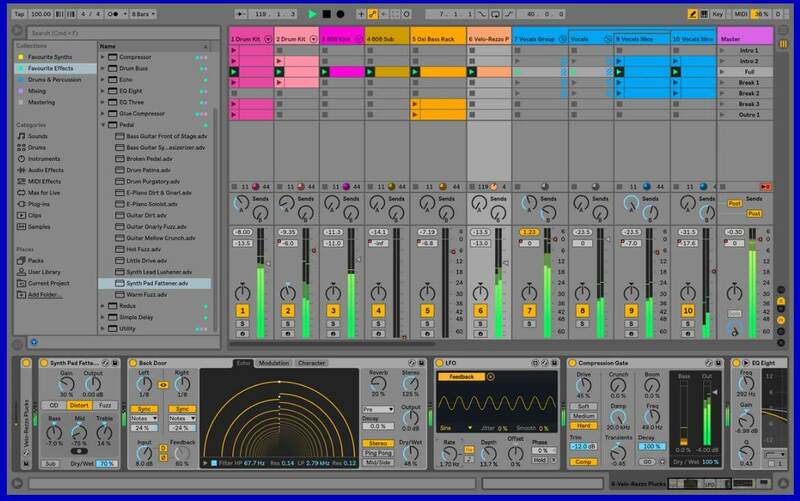 However, because of the simple design and easy to use tools even a beginner can grow on the Ableton Live. It has an advanced drum rack plugins in the Introversion that makes laying multiple samples on the 16-pad grid great. You can record samples, adjust tempo and more at very low cost while learning the ropes. But it’s also an exceptional tool for live performance with little or no glitches. Excellent user interface with easy software navigation. A stress-free connection between MIDI, software, and hardware music instruments. Seamless editing, cut and paste functions with workflow improvements. Advanced synth plug-ins and electronic drums for intuitive sound handling. Different versions suitable for each experience level plus budget considerations. A rich 23 sound library and 50 GB of sound. Presonus Studio is popular amongst Presonus Studio offers nothing less than studio grade music sounds like the best music software for rappers. Some of the exceptional tools inclusive for the Studio One DAW experience include the AudioBox iTwo audio interface. AudioBox iTwo is an add-on that makes the workstation an exciting experience. It allows for easy navigation, drag-and-drop functions and more to create smooth seamless sound and reverb effects. It has a little perk though when it concerns aesthetics and overall outlook but an intriguing workflow experience. Comprehensive Audio Box iTwo audio interface for easy manipulation. Multiple functionalities – VST, buses, FX channels, MIDI, Melodyne, etc. Studio-standard sound quality from 64-bit sound engine. When searching for the best music software for rappers it’s always best to work with tools that make learning easier. As one advances with using the music software then it would be okay to move to more advanced recording software. Using best music beginner software guide can be quite helpful in making purchase decisions too. Intermediate or advanced music producers shouldn’t find these music making software so difficult to learn. One to two years mastery could be enough before making the decision for a Pro music maker. What are the best software for learning how to sing?